** Self-Awareness box is sold out in North America. Please purchase our new journal set instead. 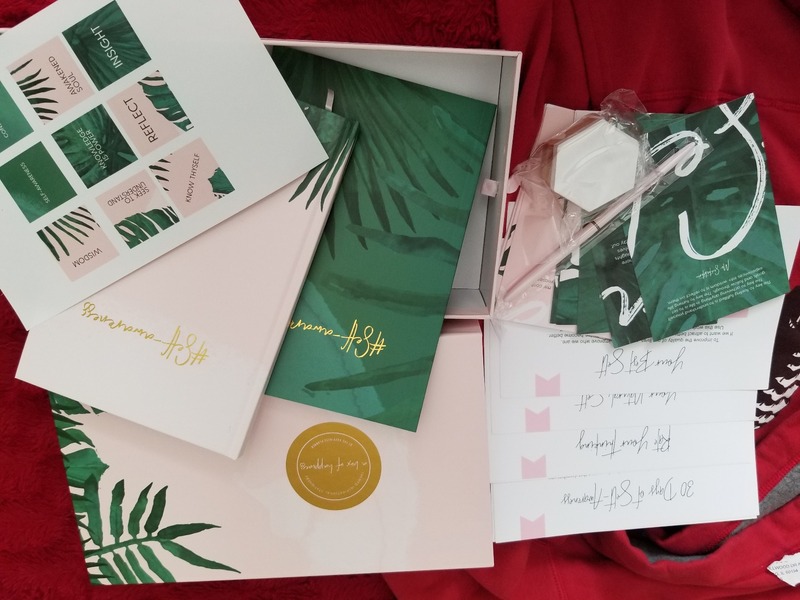 This box is designed to help you become more self-aware and understand yourself better, so that you can set goals that will make you feel truly fulfilled once you achieve them. A #SelfAwareness journal with 30 questions that will help you become more self-aware, and know & understand yourself better. Printables designed to help you turn ideas into trackable action plans. Why do I pick self-awareness as a theme for our Box of Happiness? Self-improvement is impossible without self-awareness. We can never live a life of true fulfillment and happiness without having found ourselves first. Self-awareness requires us to be completely honest with ourselves. Yet, being honest with ourselves seems to be a very difficult task for a lot of people. Love my self awareness box, really challenges my thinking and helps me stay consistent with journaling. What an amazing product. Once again The Happiness Planner never fails. Love your stuff. I had an order of over $120 and I thought "lucky me! free shipping"! I don't know if this is a recurring issue for them, but my package took 14 days to arrive... and arrived in a very cheap box with cheap tape, half open and falling apart. Honestly it was a miracle my items were still inside. The borders in the happiness boxes arrived bent (since it was packaged so poorly) and some items were scratched inside their respective boxes which to me made no sense. My guess is this probably happens a lot since it's on their F.A.Q. I talked to the costumer support Laura and she told me "for some reason" my shipping was delayed and that "she was sorry to hear about my frustration". This was a really a bad experience overall and the products content does help because it's good, but it seems like there's no consistency into the product quality and the shipping was terrible. Back to the box.. the design is beautiful, it has everything that's said above but my wooden stand came scratched, so every time I set a new quote I have to hide the scratched surface. I didn't pay for a scratched stand but that's what I got (it wasn't the only item that came scratched my peony planner as well, but that's for another review) The content is good, it really makes you look inward and reflect about your life, who you are and what you want for yourself. If you need a change in your life this might actually guide you towards asking yourself the right questions. It really switches your mentality towards a more positive one.. , despite this not being the happiest review. I would say content is 5 stars. Shipping was 0. And the fact that my stand came scratched was a 3. I'm not giving this a 3 because despite everything else the content is good. But you shouldn't just rely on your content because people that have a bad experience with you are less likely to recommend you. Hope it helps.